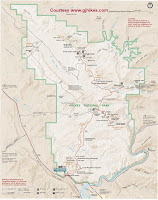 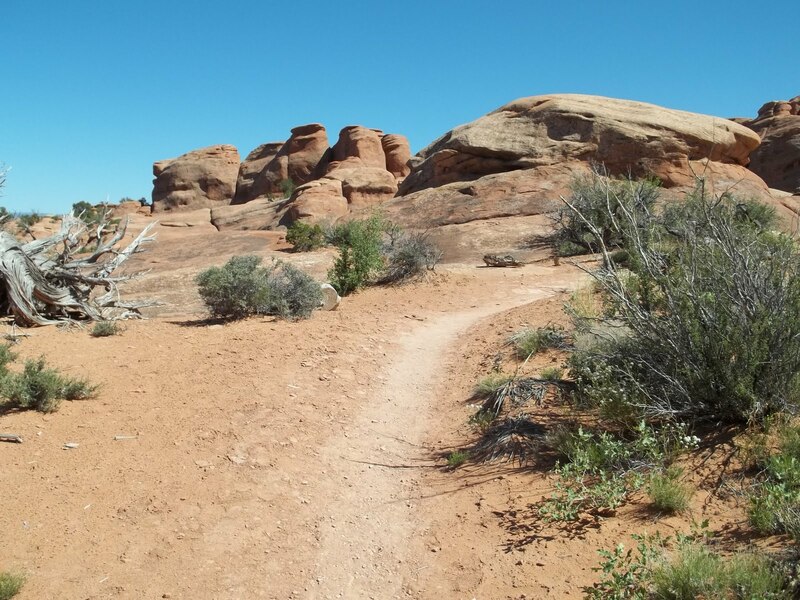 The Broken Arch trail is located in Arches National Park near Moab, Utah. Broken Arch is only about a half mile from the Sand Dune Arch trailhead but you can continue through the arch and hike a loop that takes you to the Devil's Garden campground and then back through a passage between two rock fins that will complete the loop. 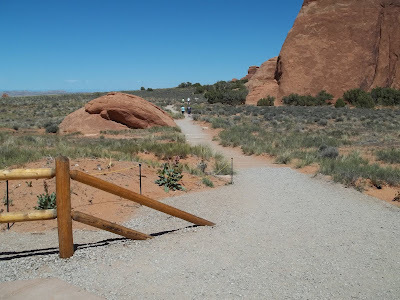 If you include diversions to Sand Dune Arch and Tapestry Arch, with perhaps a stop at the Devil's Garden restroom, you will end up with a total round trip distance of about 3 miles. Beginning at the Sand Dune Arch trailhead it is only about 500 feet to the trail junction to Sand Dune Arch. 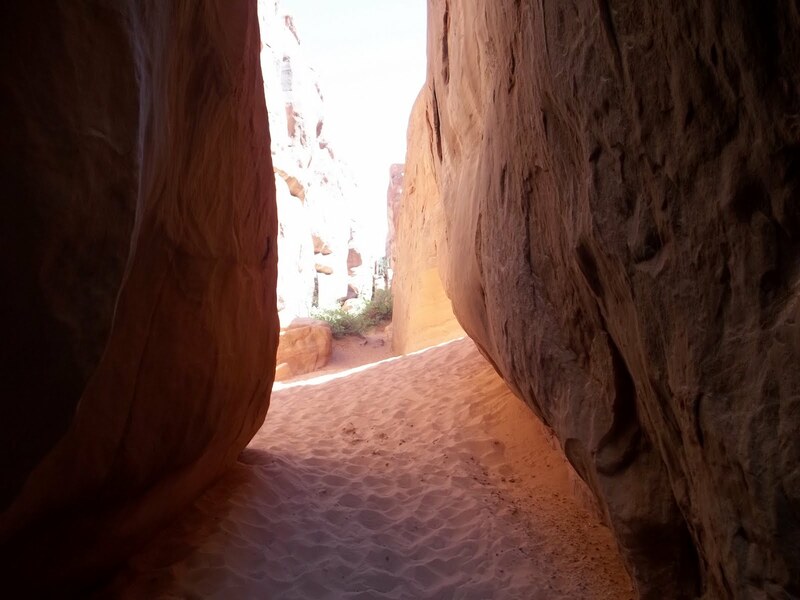 Taking the right fork leads you into a narrow canyon. 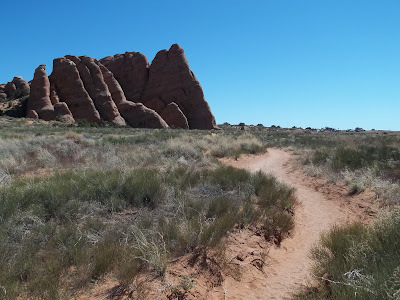 The trail is made up mostly of loose sand and takes a little more effort than normal but the distance is less than a quarter mile to the arch. 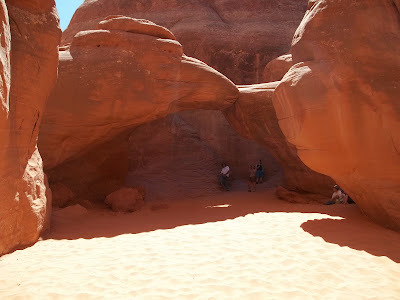 Sand Dune Arch is probably less than 20 feet high and it does indeed sit above a dune of sand. 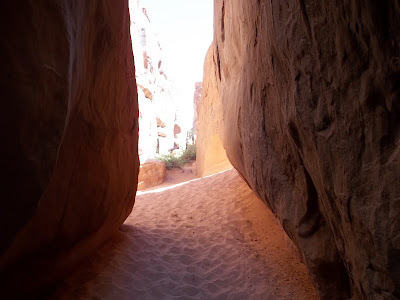 After returning through the slot canyon the main trail leads over to Broken Arch. 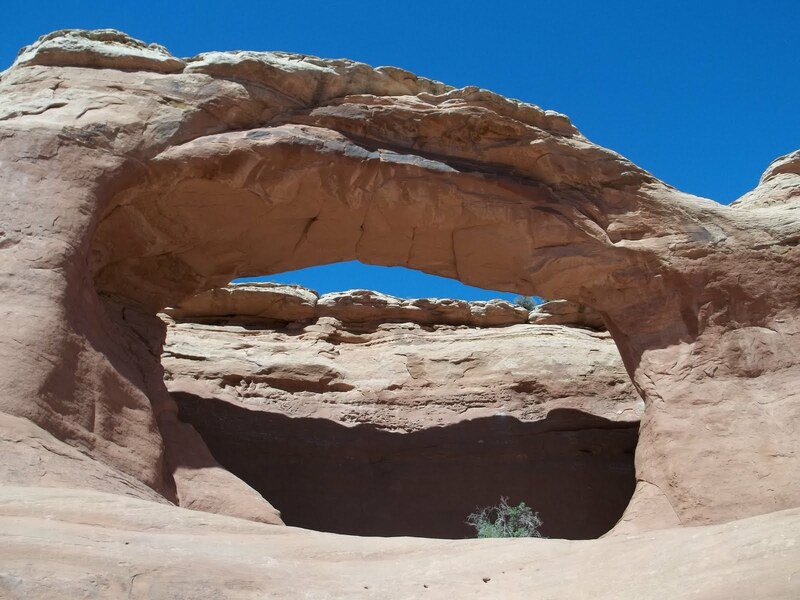 There is a sign a short distance from the arch that marks the beginning of the loop. Taking the right fork it is about a quarter mile to Broken Arch. The trail continues right through the arch and requires a short scramble up some slickrock. The trail between Broken Arch and the campground makes for a pleasant hike winding through the trees and around several cliffs. 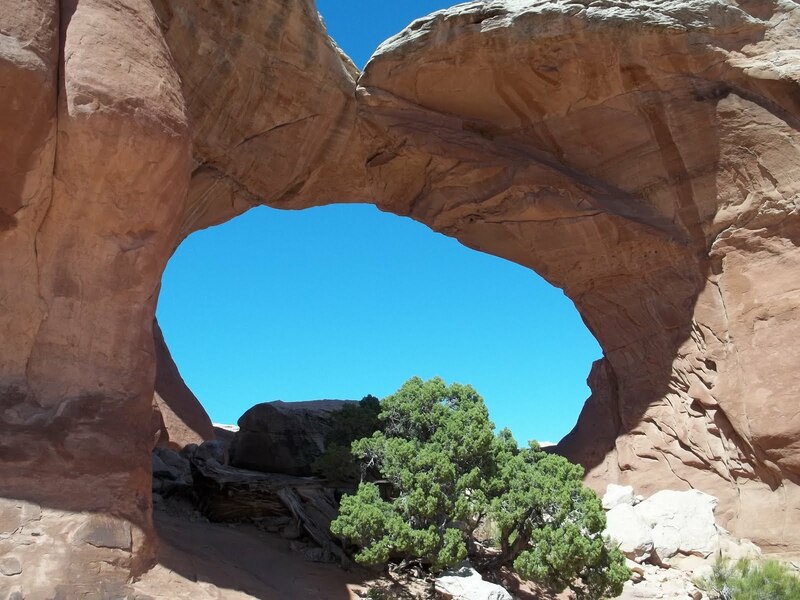 A nice diversion from the loop leads over to Tapestry Arch. This short out-and-back addition will add about 4 tenths of a mile to the hike. 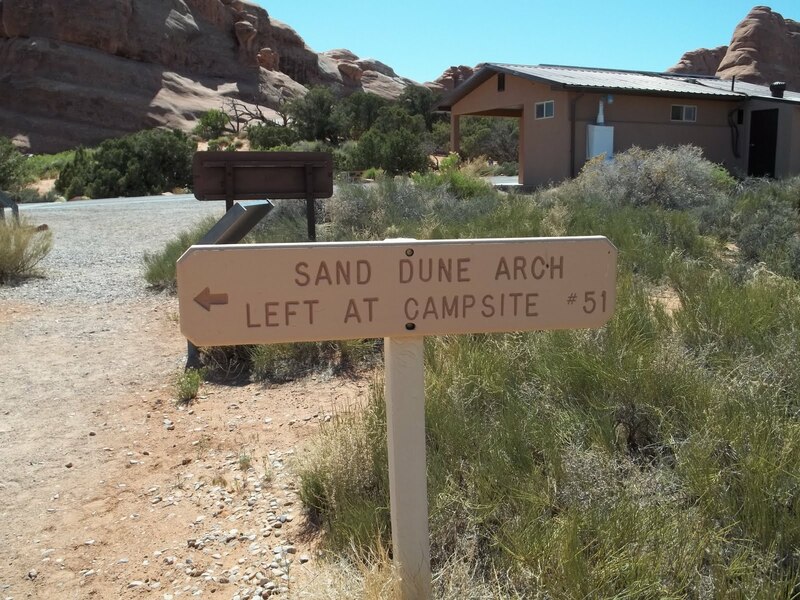 At the campground a sign directs you down the road a short distance where the trail resumes at campsite #51. As you can see from the above picture there is a toilet at this trail junction. 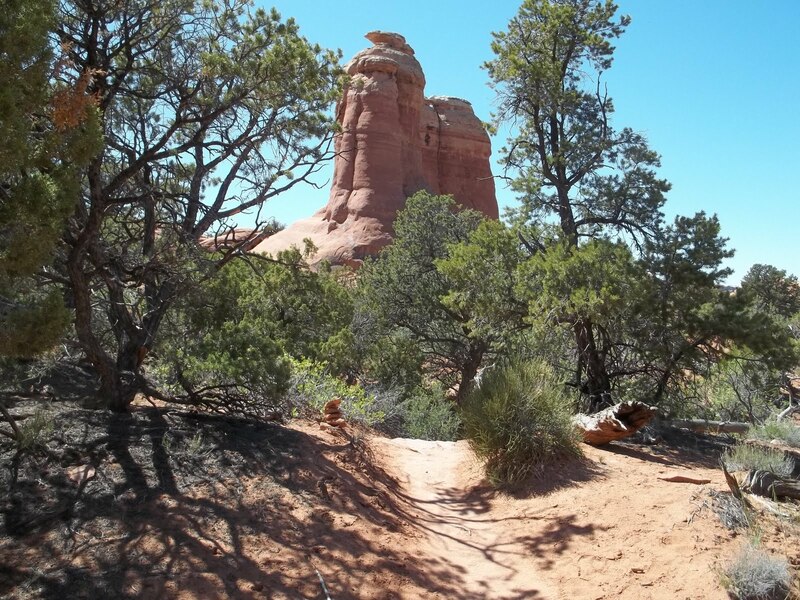 From the campground the trail begins climbing and gains about 100 feet over the next quarter mile where it reaches the highest point of the loop. From the high point of the loop the trail descends through a passageway between several of the rock fins. 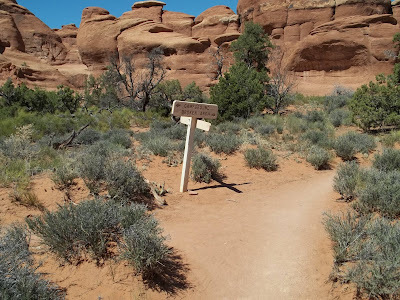 After descending the hill and returning to the beginning of the loop it is less than a half mile back to the trailhead. 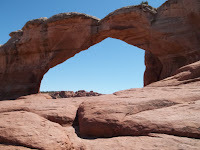 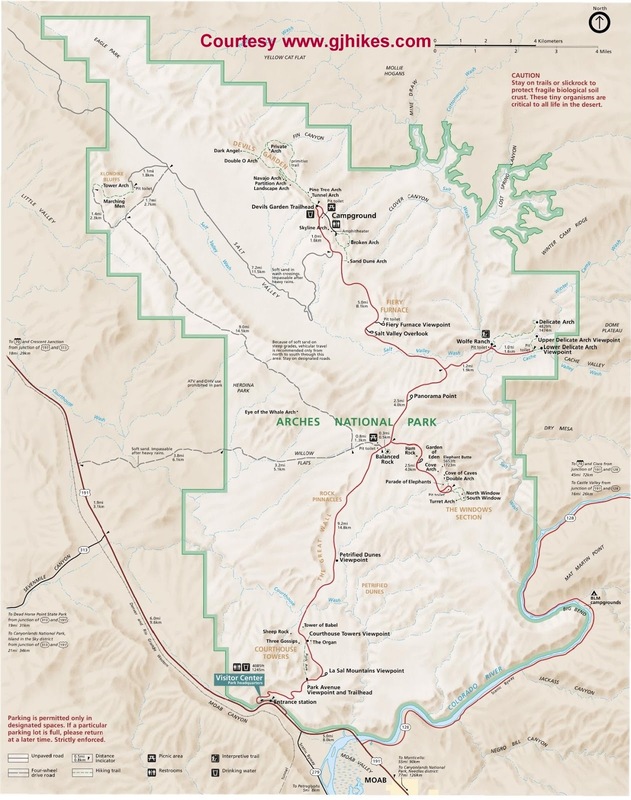 The Broken Arch Loop is a very fun and adventuresome hike. 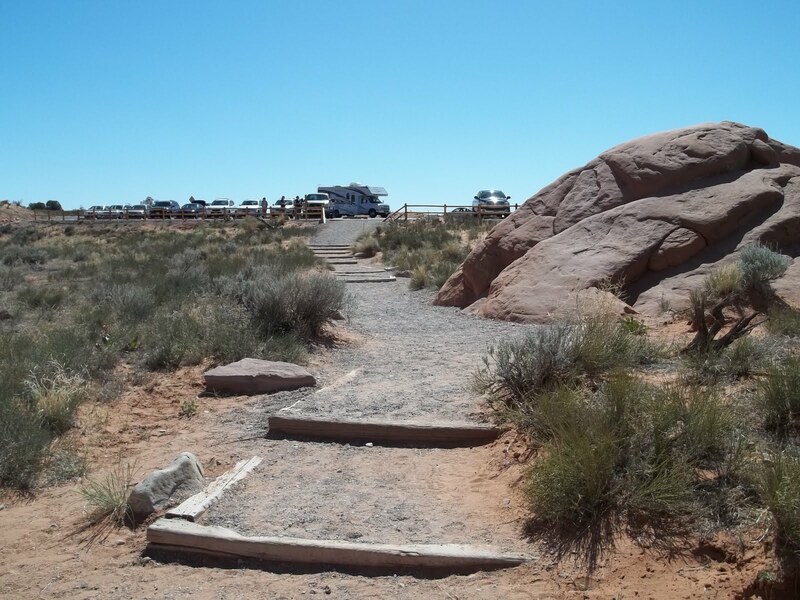 The trail has a good variety of desert landscape, narrow passages and obstacles to make for an exciting outing. 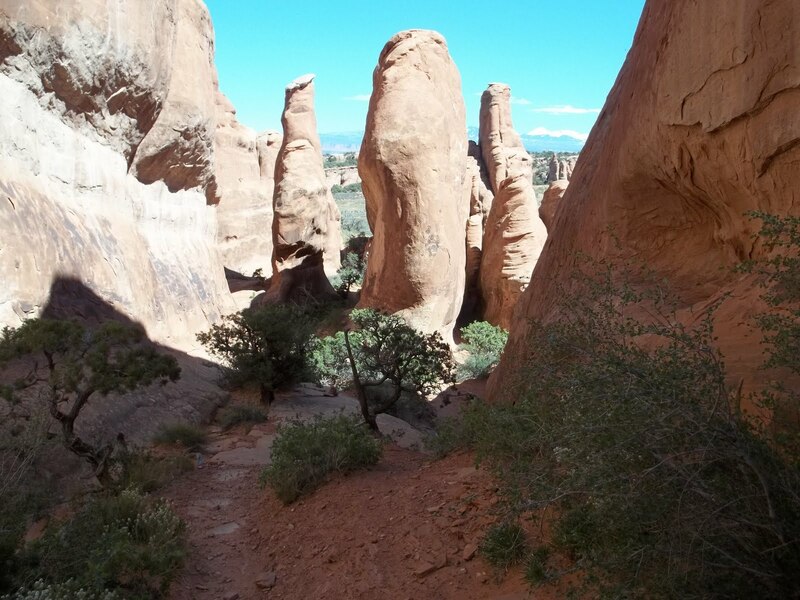 It can be very hot here in the summer months so plenty of extra water would be advisable. If you would like to see it for yourself then all you have to do is 'Take a hike'.